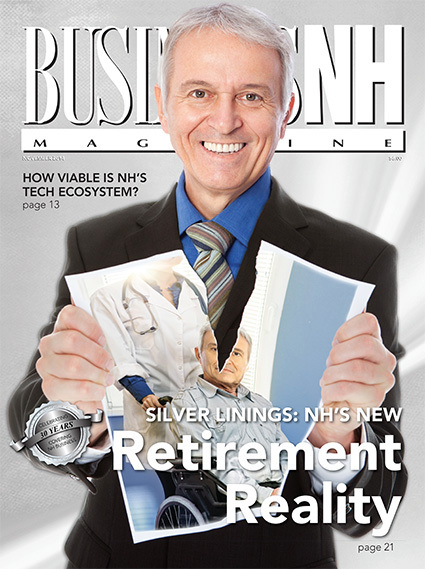 Silver Linings – BNH's special report on the new retirement reality. In this issue's Tech Report, we ask how viable is NH's tech ecosystem? The Upside of the Silver Tsunami – You've heard the gloomy predictions of what NH's aging population means for our economy. This piece looks at the upside. Think Tank – Diverting dollars from the highway fund. Community College Update –Looking at the trends and challenges being faced by the Lakes Region Community College.